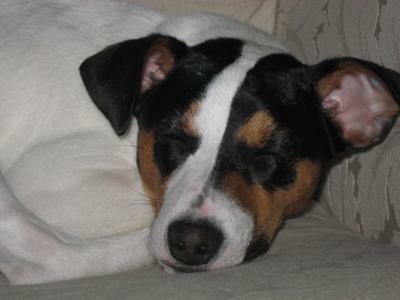 My story is about a Jack Russel Terrier named Tucker. He is a crazy pup. He is just like what was described, personality wise. He hates being inside. One day he was inside while we were playing outside. You could tell it was just killing him watching us run around free. By the time we came inside to let him out into the back yard, which is fenced, otherwise he would be long gone, he had somehow opened and jumped out of the window. We were running down our street chasing him for about an hour! We did however catch him eventually. He still is just as goofy and runs off often, but as I always tell him, as many times as he runs of I will chase him! I guess all JRT's like to run. Do you walk the dog? It's so dangerous to let them run. My jack requires a walk every day, hour, more or less and plenty of out time and he is very good in the house. Watch Cesar Millan or Victoria Stillwell on NGC or Animal Planet and train the dog. It would be a shame to loose such a great dog! He is so handsome.